Photo credit: Ivan Dementievskiy The Russians discovered Avacha Bay in 1703, just before the city of St. Petersburg was founded. The bay’s name has Itelmen roots and in accordance with the tradition of the times its Russian discoverers named it after the biggest river that flows into it. According to one version, the name “Avacha” comes from the Itelmen word “kshchuapach,” which means, “father-gulf.” During the Soviet period, the bay was tremendously popular with tourists. Many more ships crossed it as compared to today and the fishing and trading ports in Petropavlovsk-Kamchatsky were busier. However, despite this reduction in activity, there have been some positive aspects: the ecological situation in the bay has improved in recent years, although more than 70 sunken ships of various sizes still rest on its floor. 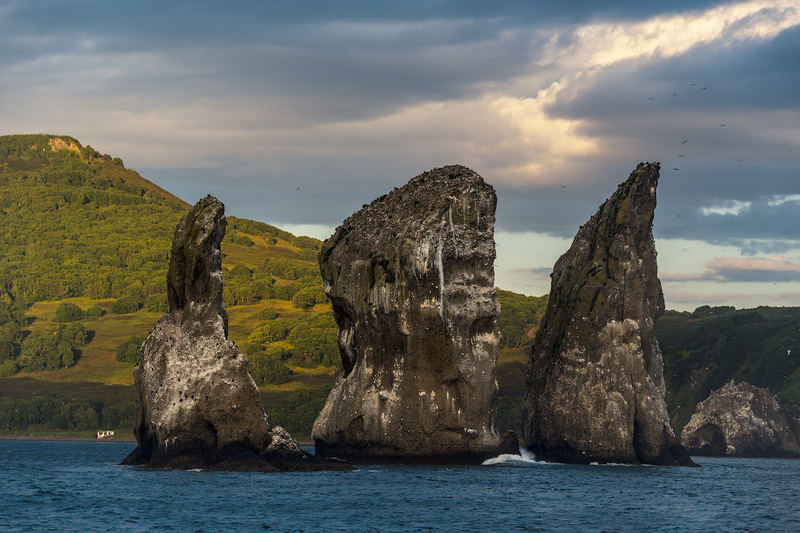 Photo credit: Ivan Dementievskiy If you’ve enjoyed a view of Avacha Bay from the plane, you have only seen part of it, and it is worth devoting some time to see it up close from a motorboat. You’ll get a privileged and detailed look at the peninsula’s coasts and you will be surprised at how small five-story buildings look when volcanoes, silent and rigid, tower over them in the background. On a fine sunny day hiking up Mishennaya or Petrovskaya hills is recommended. From there you’ll be able to take wonderful panoramic shots of the bay and the nearby volcanoes: Koryaksky, Avachinsky and Vilyuchinsky.